The U.S. Conference of Catholic Bishops and the Archdiocese of Baltimore are expected to make a major push for comprehensive immigration reform as election season approaches. 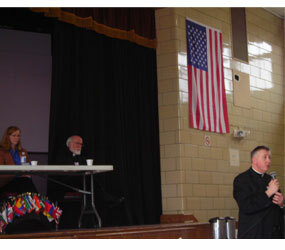 The Archdiocesan Immigration Coalition held a first-ever gathering for parish leaders March 11 at John Paul Regional School in Woodlawn. 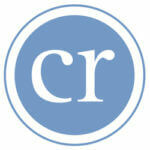 The group’s goal is to promote reform and create a smoother path toward U.S. citizenship for undocumented people. The Archdiocesan Immigration Coalition was created by Archbishop Edwin F. O’Brien in fall 2008 and is comprised of pastors and pastoral leaders. The coalition includes immigration rights group CASA Maryland and representatives from the Episcopal Church. The coalition’s president is Father Joseph L. Muth, pastor of Northwood’s St. Matthew and Baltimore’s Church of the Blessed Sacrament. Tony Cube, National Field Manager for the Justice for Immigrants office of the USCCB, told attendees that efforts in recent years to apply increased security on U.S. borders have failed. The reason, he said, is that militarizing borders does not address the millions of undocumented workers currently in the U.S.
President Obama has been stepping up meetings with congressional sponsors of an immigration reform bill. The March for America, an immigration reform event, is March 21 on the National Mall in Washington, D.C. Currently, families around the Washington-Baltimore area are living in fear of deportation. As the Archdiocesan Immigration Coalition meeting took place March 11, Immigration and Customs Enforcement units executed raids in Baltimore and Anne Arundel County, rounding up 29 people. At the meeting, a Salvadoran woman named Blanca, who faces her own deportation March 24, emotionally told attendees how she came to the country for a better life. “I just want an education for my children and want what’s good,” she said. She feared the stigma of being called a criminal. Father Ty S. Hullinger, administrator of St. Mary in Cumberland and St. Patrick in Mount Savage, told attendees how parishioners at his Allegany County parishes have been rounded up as well. Bishop Rozanski said Catholics will heed the call.